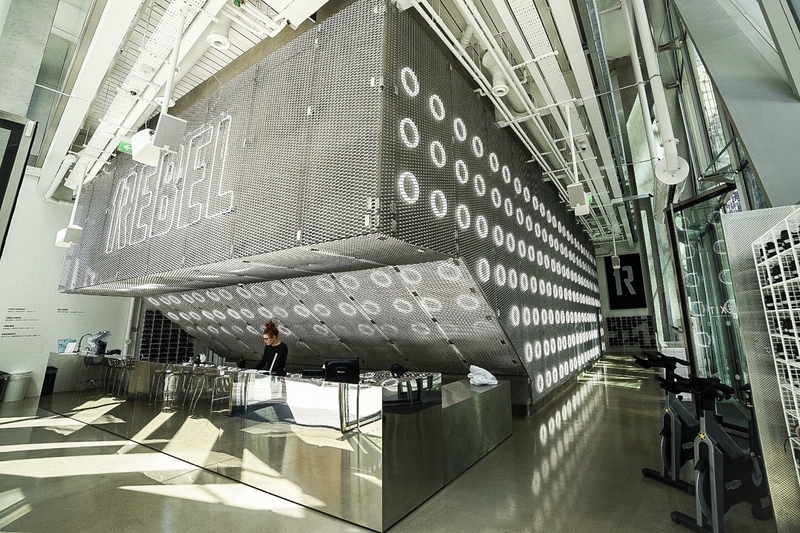 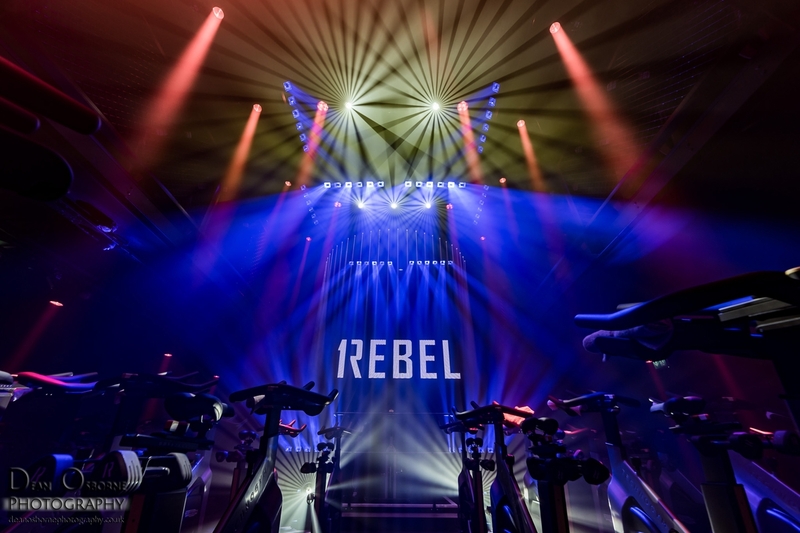 The premise of the 1Rebel gyms is to use high quality sound and light installations as would normally be found in a high end nightclub to create an atmosphere where the ‘buzz’ is created by endorphins from exercise rather than alcohol and/or other stimulants! 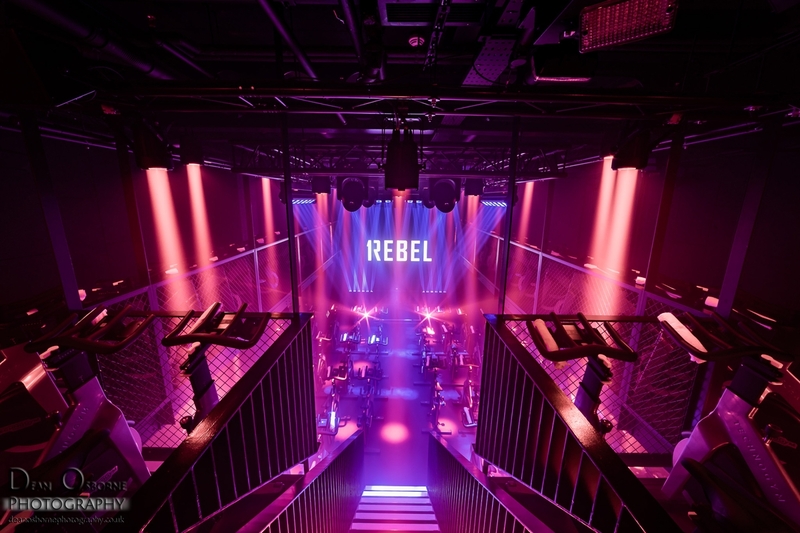 This is the flagship studio for the 1Rebel chain of gyms in Central London designed by Studio-c102 where we have brought theatrical integrity of lighting design and state of the art fixtures into an exercise gym environment. 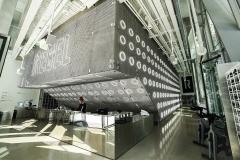 The studio features a foyer light display made of several hundred LED ring ‘T-9’ look-a-likes programmed with dynamic patterns. 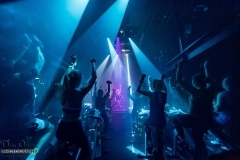 In the studio itself an instructor faces around forty exercise bikes and switches the lighting, laser and screen program manually as the session progresses with s touch screen interface. 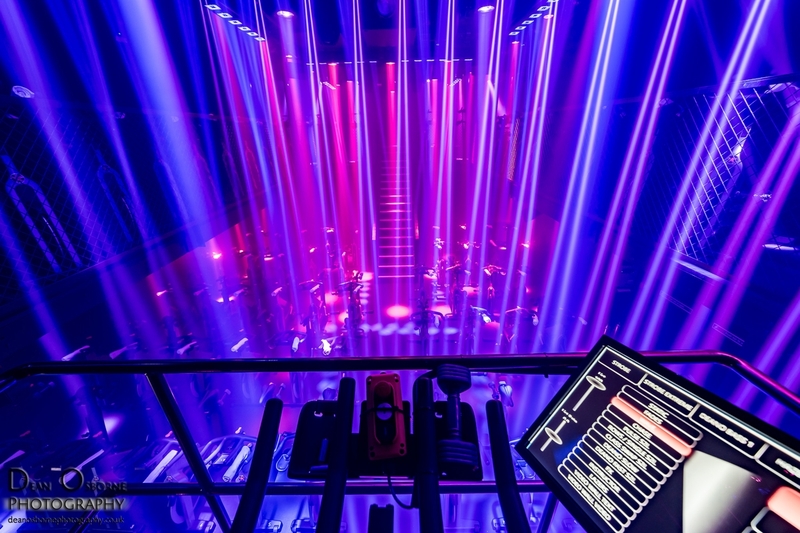 The system is comprised of HD video feeding a 3m square LED screen behind the instructor with impact messages, abstract video art content and live camera images of the instructor; a semi Cyclone laser display which is a half circle of thirty laser heads enclosing the instructor in a light cage effect; and LED wash, spot and effects fixtures from Chauvet and Claypaky chosen for their optical and power saving qualities. 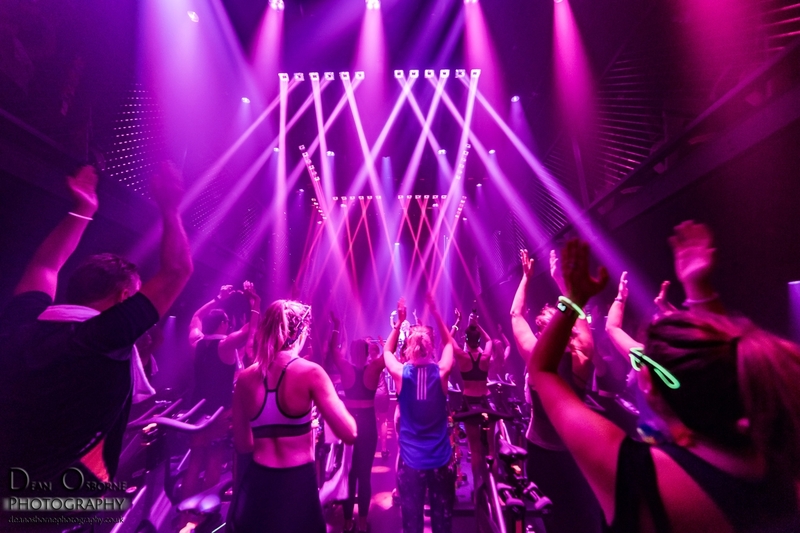 The instructor is seated on a scissor lift which rises to the mezzanine level at the climax of the exercise session and the sound system provides high quality play back of the instructors chosen sound tracks from Spotify. 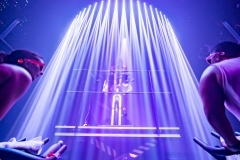 All of the lighting effects were demonstrated to the client beforehand using an animation made by Ryan Hopkins at LCR with WYSIWYG virtual lighting software from CAST lighting in Canada, The actual light program was created off site by programmer Dean Osborne with the client and chief instructor in the comfort of a WYSIWYG studio rather than the building site of the actual Victoria studio premises. 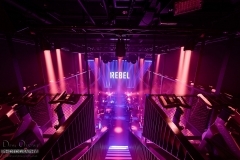 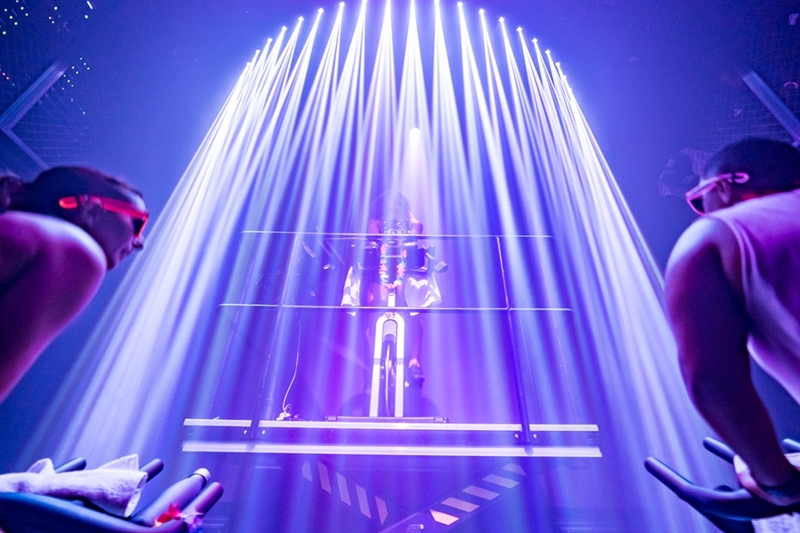 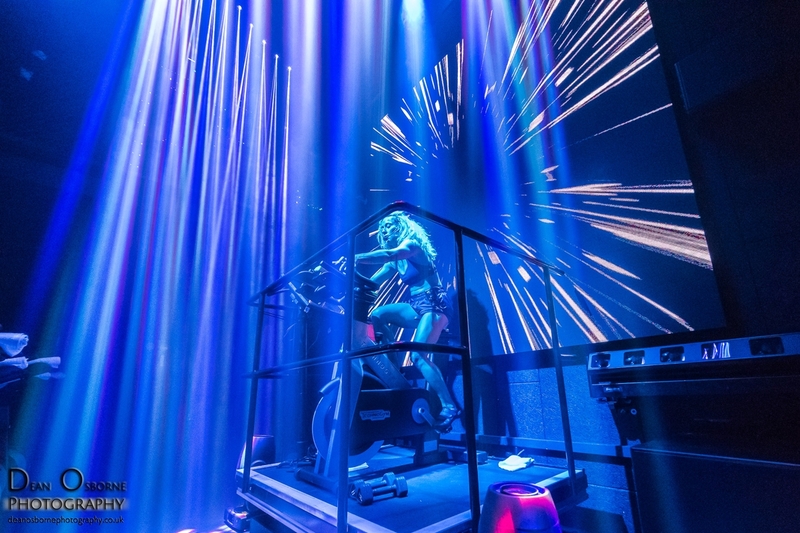 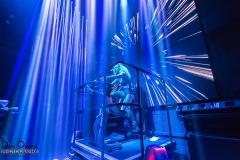 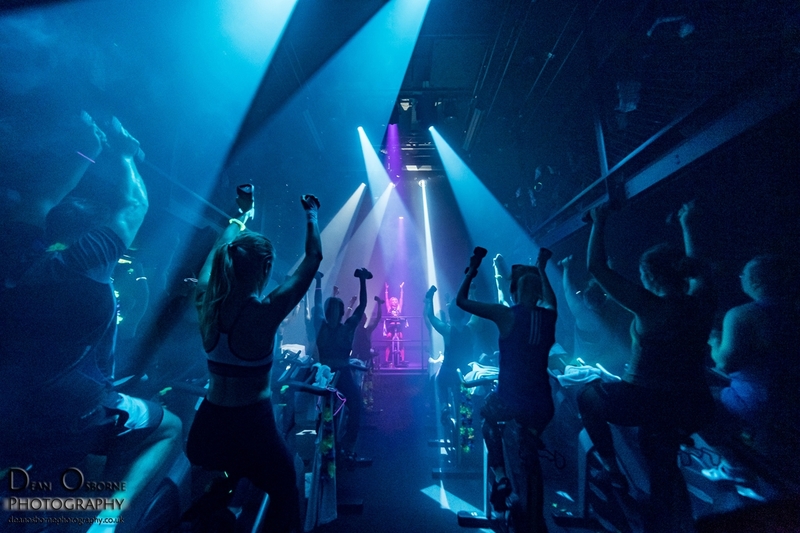 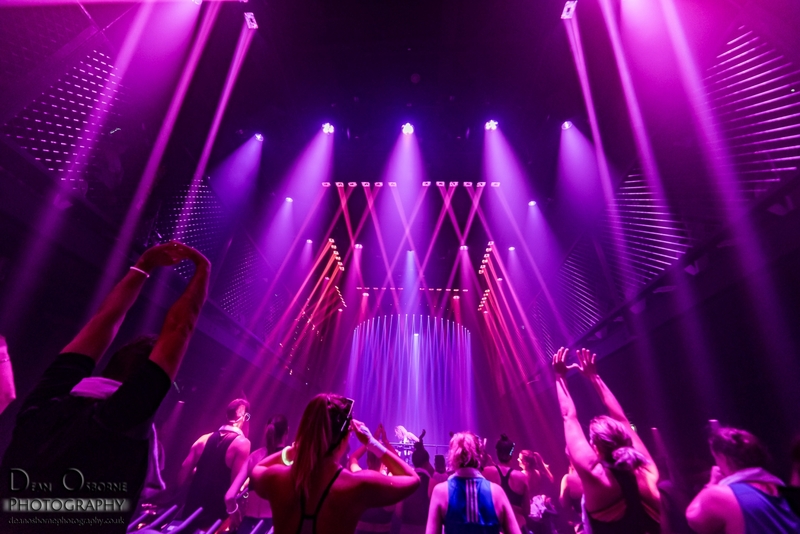 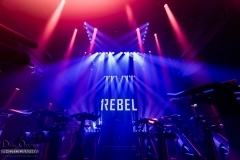 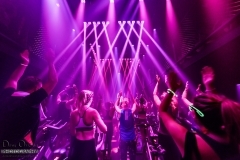 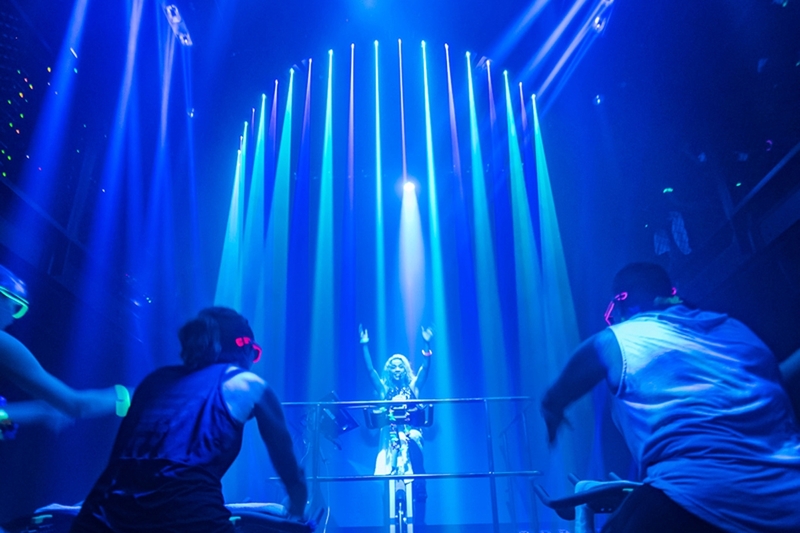 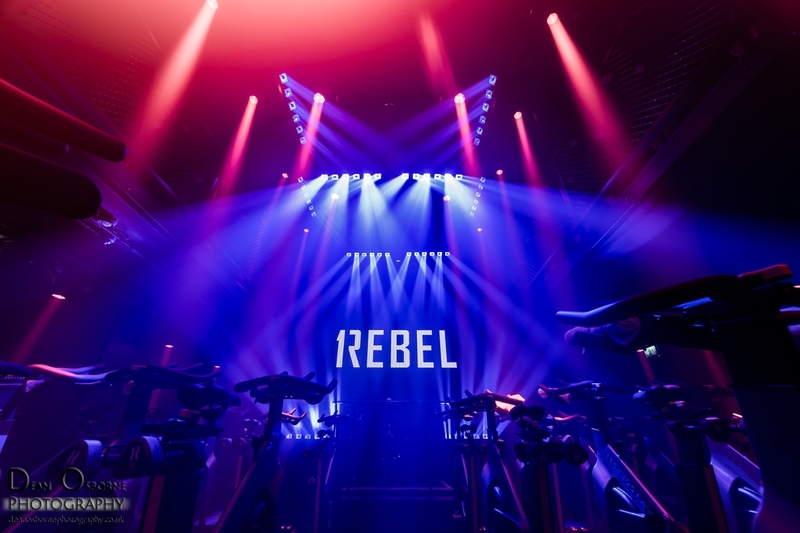 All control and playback is by Madrix and this represents the culmination of event lighting designer Durham Marenghi’s first foray into this exciting exercise environment with several 1Rebel gyms around Central London, the Flagship NOVA Ride studio opened on June 27th 2018. 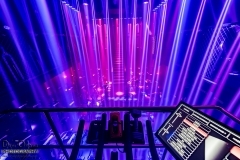 Laser installation by ER Productions. 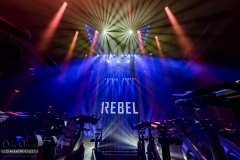 Video content by Miguel Ribeiro. 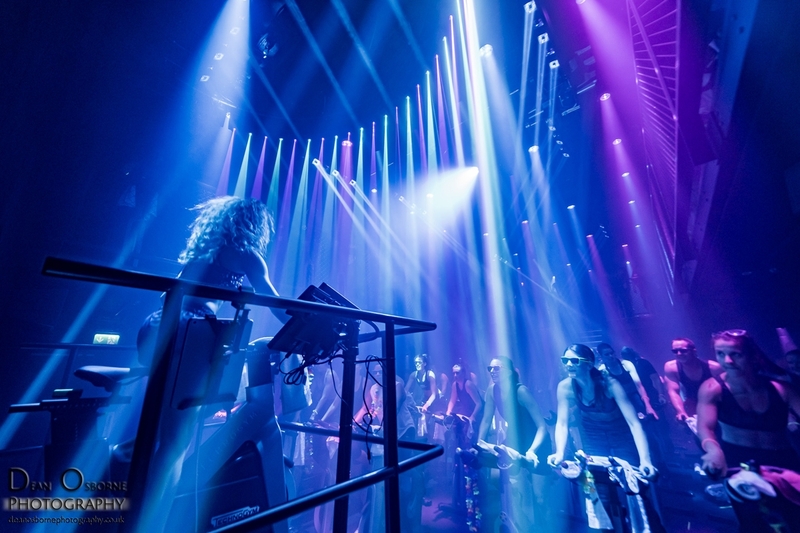 Lighting Fixtures: Claypaky Axcor 300 Spot, Claypaky Sharbars, Chauvet Colorado wash.